This hilarious new show at The Cosmopolitan of Las Vegas takes you on a trip to a new dimension of entertainment. Brought to you by the creators of Absinthe, this fast, funny and funky show is sure to leave you in stitches. It’s completely off the planet, literally! Slip through the crack in the space/time continuum for a close encounter with this spaceship of fools. Sit down, buckle up and get ready to blast off into 90 minutes of raunchy, raucous space age fun! 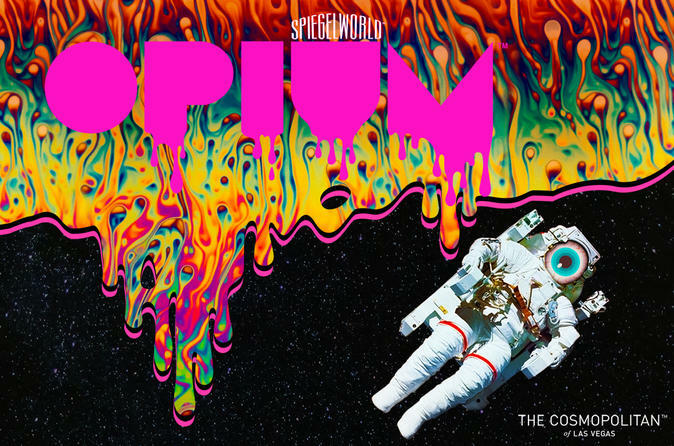 From the creators of Absinthe, Opium at The Cosmopolitan of Las Vegas brings to the stage the crazy crew of the OPM 73, a spaceship traveling from Uranus to Las Vegas on which you are a passenger. Imagine what would happen when the Rocky Horror Show meets Buck Rogers and explodes in Captain Kirk’s pants! With a rocking live band, each act that appears on Opium's stage will have you laughing, cheering or gasping (or all three at the same time). From sword swallowers to contortionists to some strange banana games plus everything in between - there truly is no other show like this in Las Vegas (or Uranus)!